This site is designed to share information with you and allow you to share information with us. If something on this site sparks a memory, just click on the "Tell Us About It" link at the top of the page and share with us your story. If you would like us to keep you informed of upcoming events or when we add material to our website, join our mailing list. Providing a tool to collect local memories and artifacts to preserve them for future generations. 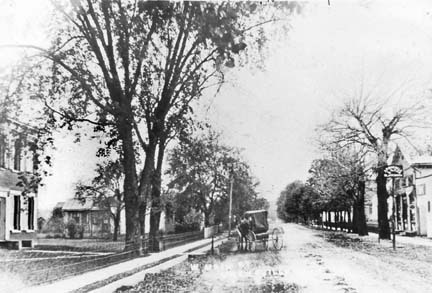 Route 50 in the early 1900s. Join in on the conversation about our local history on Facebook. Send mail to webmaster@OwensvilleHistoricalSociety.com with questions or comments about this web site.